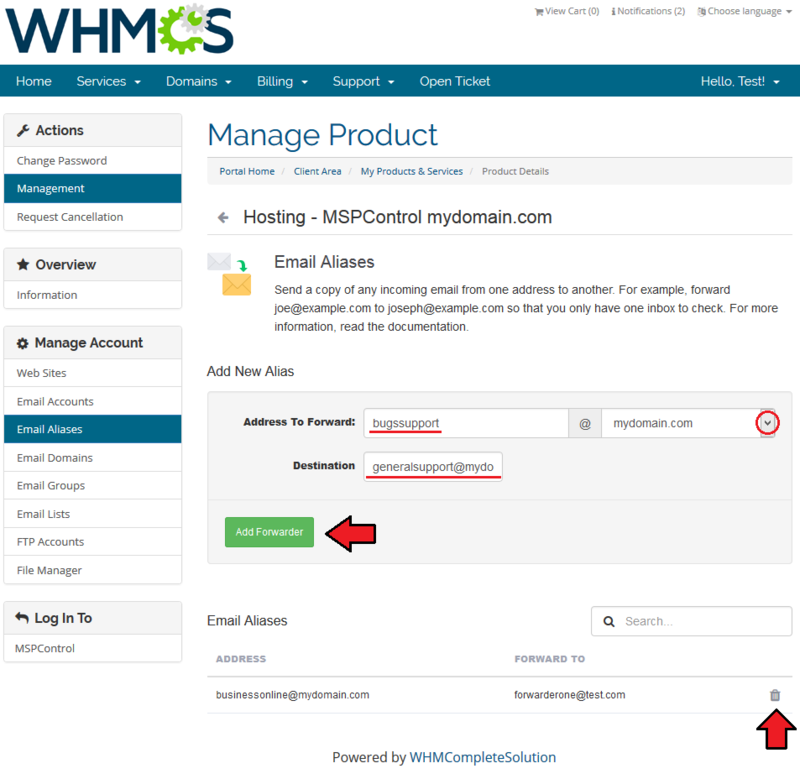 MSPControl Extended For WHMCS allows to automate accounts provisioning and lets your clients manage their MSPControl accounts through your system. 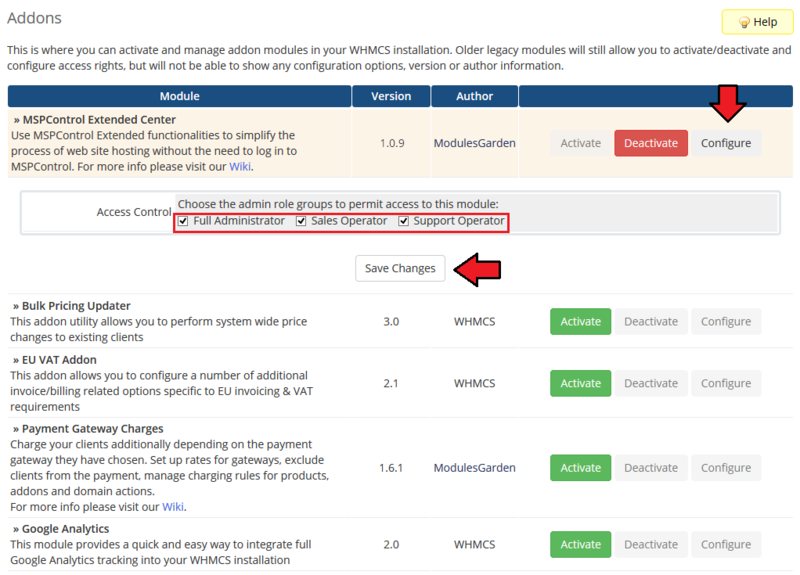 The module enables your customers to order and manage their web hosting accounts straight in your WHMCS client area. 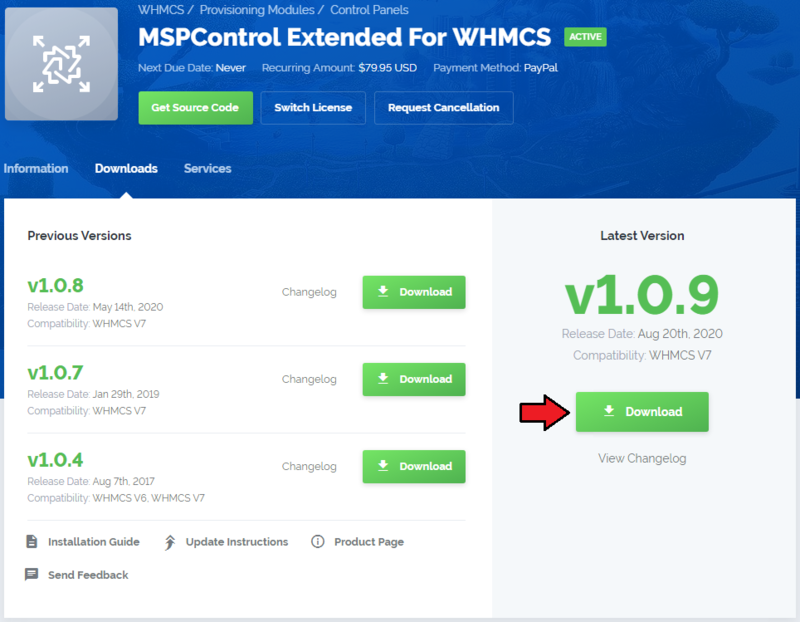 Read the below instructions to learn how to install and then configure MSPControl Extended For WHMCS properly. 4. 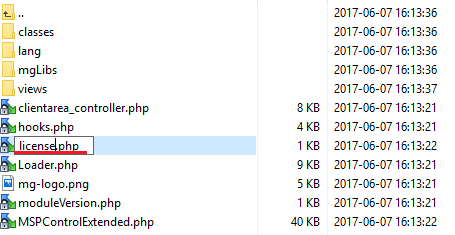 When you install MSPControl Extended For WHMCS for the first time you have to rename 'license_RENAME.php' file. 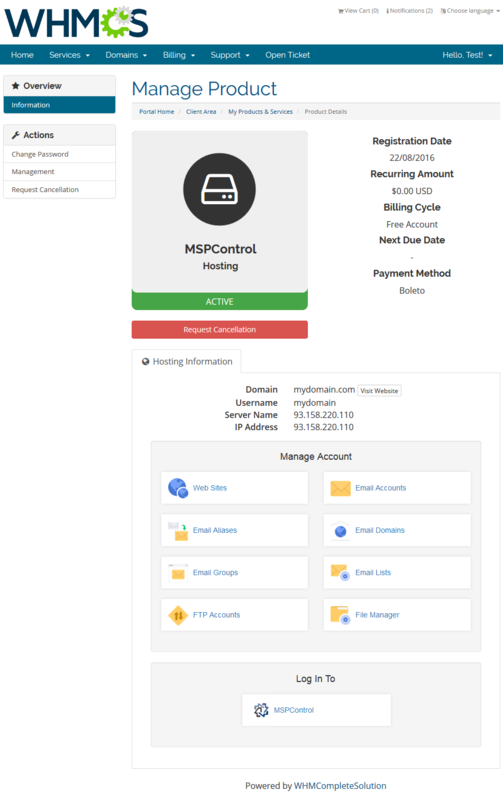 File is located in 'modules/servers/MSPControlExtended/license_RENAME.php'. Rename it from 'license_RENAME.php' to 'license.php'. Afterwards, find 'MSPControl Extended Center' and press 'Activate' button. 8. 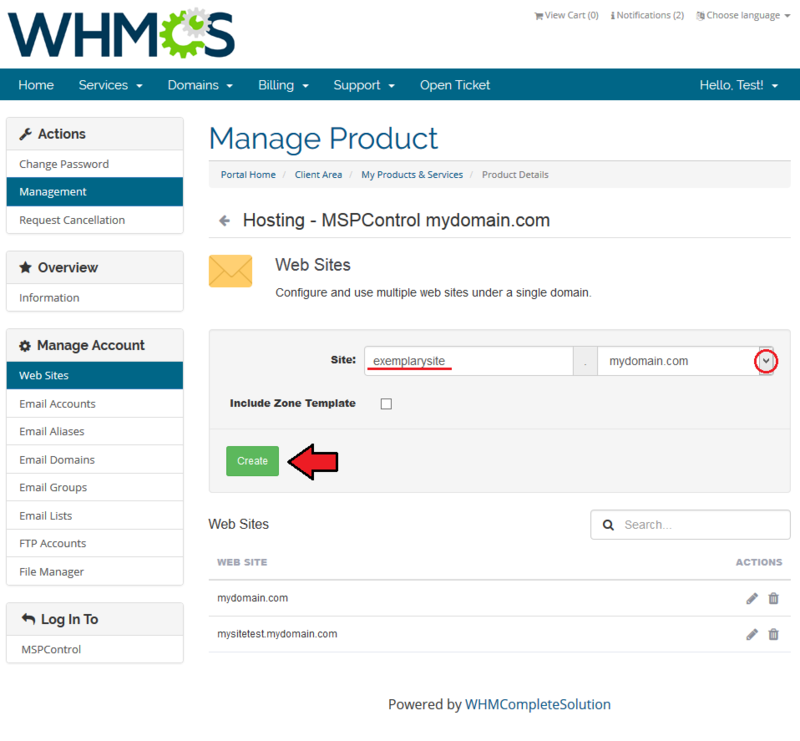 MSPControl Extended For WHMCS is now successfully installed! Access the addon under 'Addons' → 'MSPControl Extended Center'. 10. 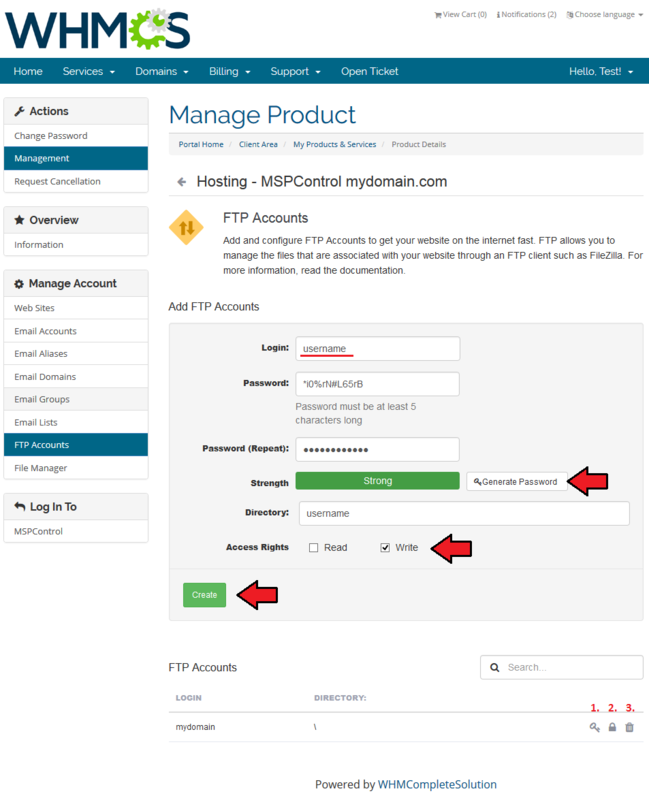 Enter your server name, IP address, username and a password. 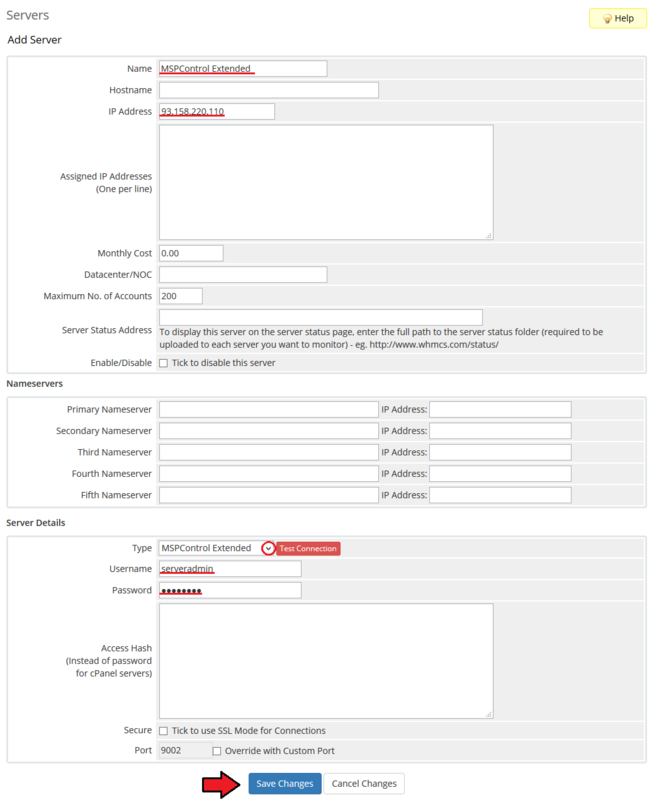 Choose 'MSPControlExtended' from a dropdown menu and press 'Save Changes'. 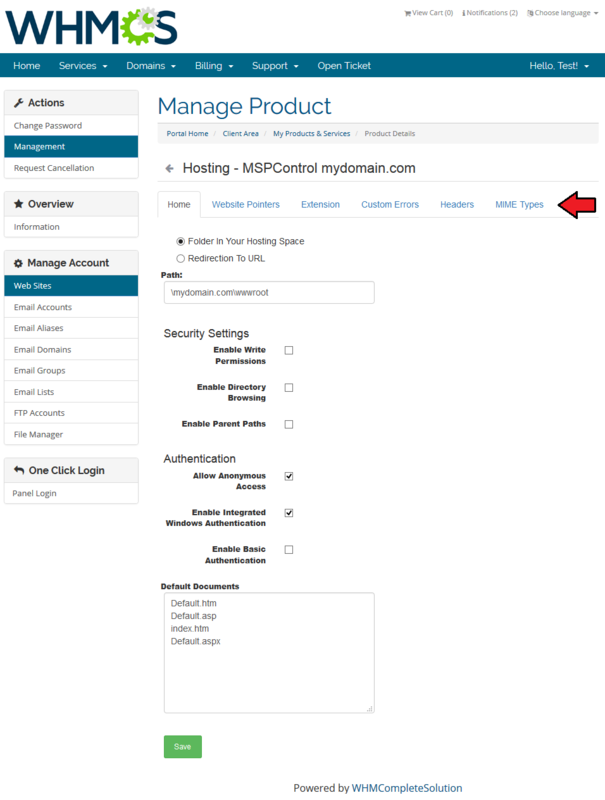 If you connect with your MSPControl server via SSL, then make sure that you checked 'Secure' located at the bottom of the page. 15. 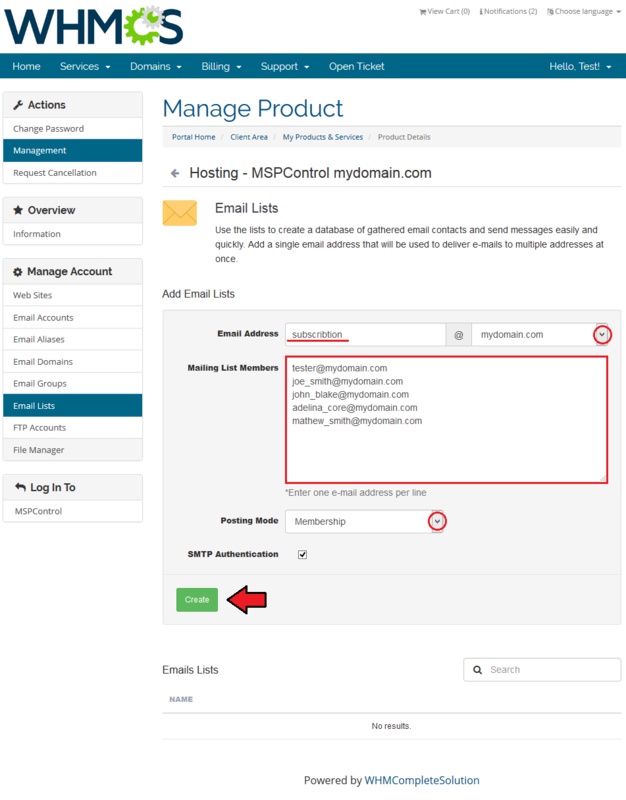 When you have a product group added, you can create your product and assign it to MSPControl Extended module. 17. 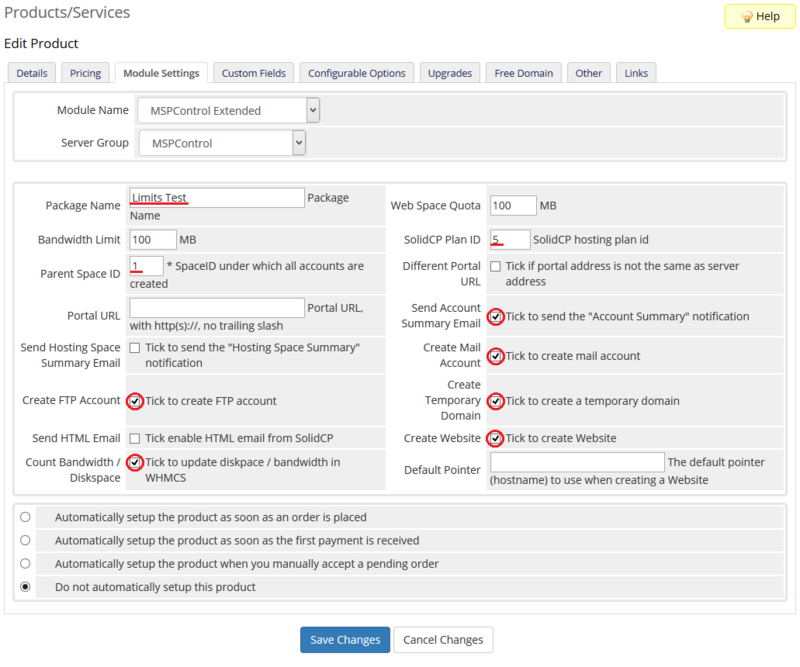 Now, go to 'Module Settings' section, choose both 'MSPControlExtended' and a previously created server group from dropdown menus and press 'Save Changes'. 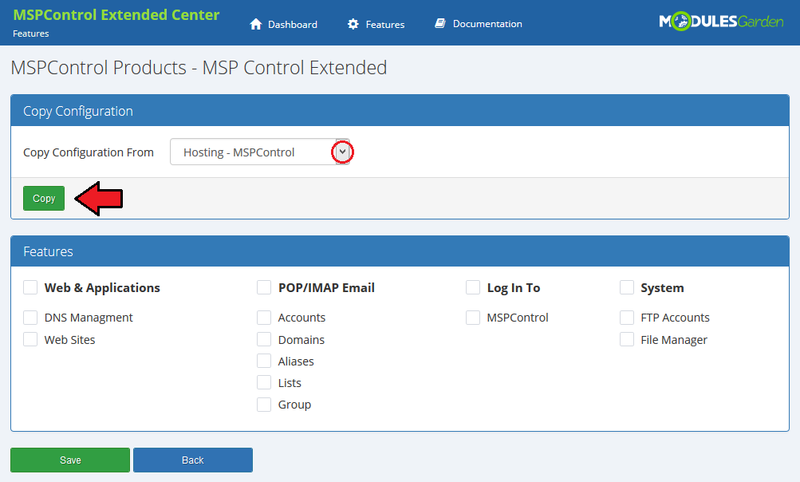 Important: Setting MSPControl theme is required for some features to work properly. 18. 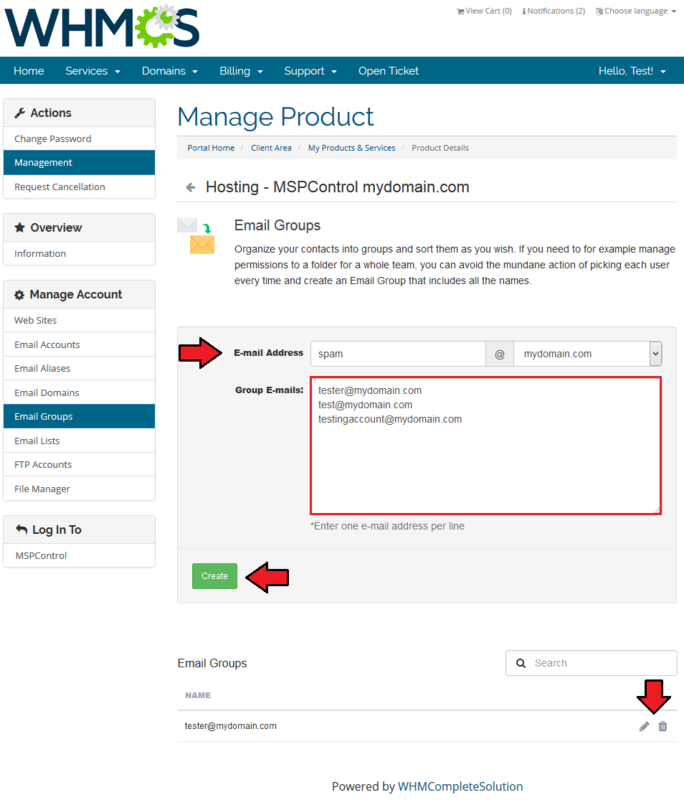 Fill in 'Parent Space ID', 'Plan ID', 'Enterprise Server Port' and 'Portal URL' fields. 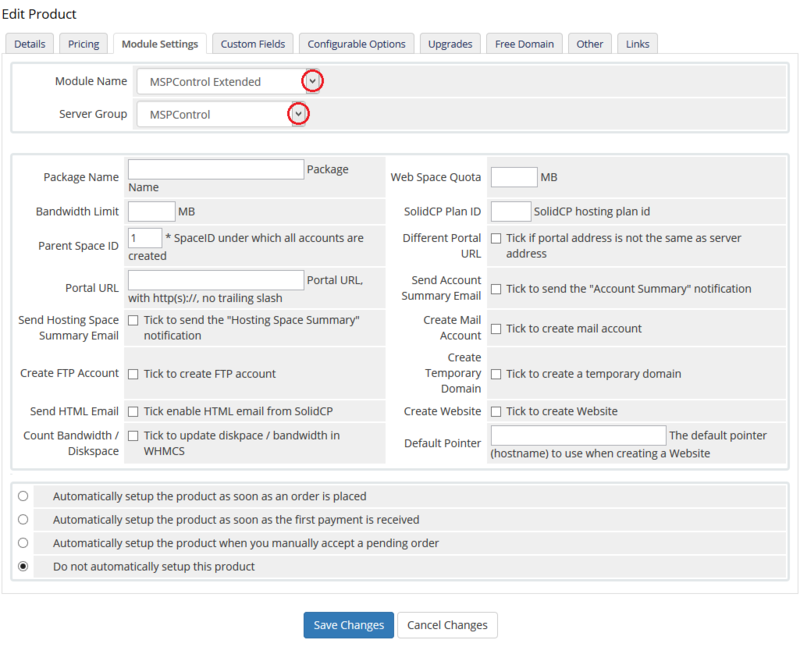 Additionally, check 'Create Mail Account', 'Create Temporary Domain', 'Create Website', 'Create FTP Account' and 'Count Bandwidth / Diskspace' . 23. 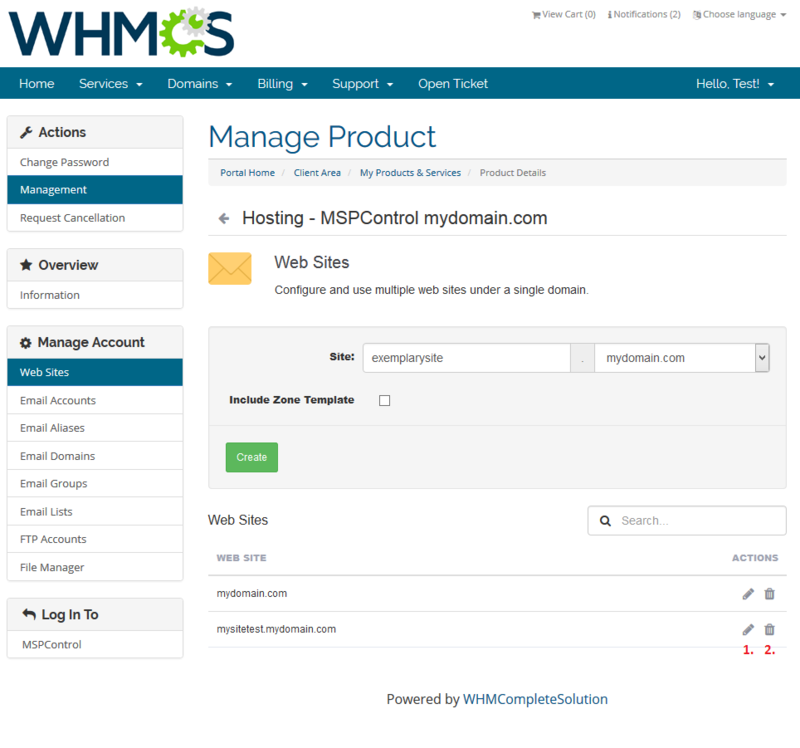 From now on, all your clients who ordered a previously created product will be able to manage their MSPControl accounts via your WHMCS system. 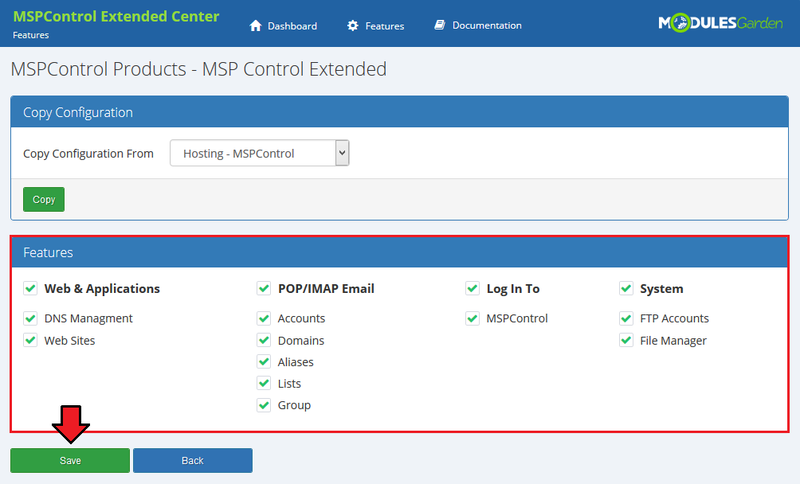 MSPControl Extended allows your customers to manage their MSPControl accounts without being logged into the server. 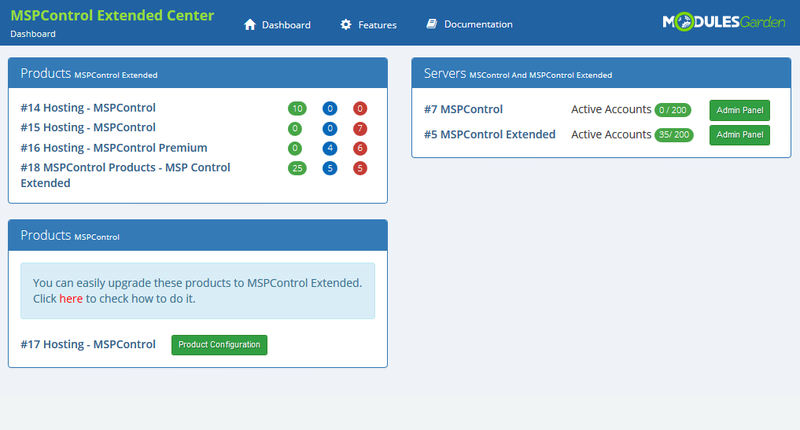 Read the below descriptions to become familiarized with all of the MSPControl Extended functionalities. In the following section, features available in the client area will be thoroughly discussed. 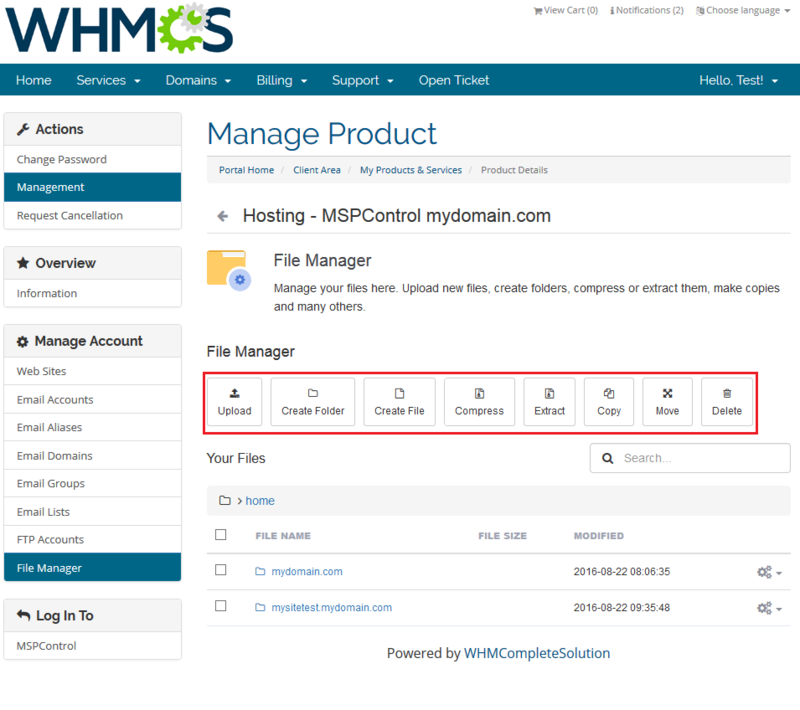 Manage files and folders of your MSPControl account. 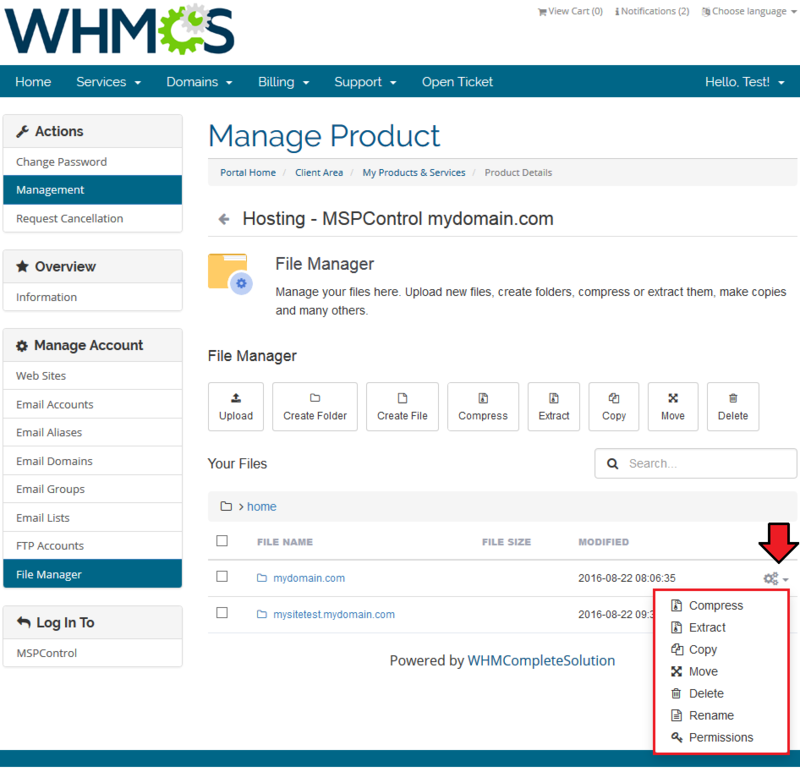 Upload files, create folder to categorize the files, compress, extract etc. 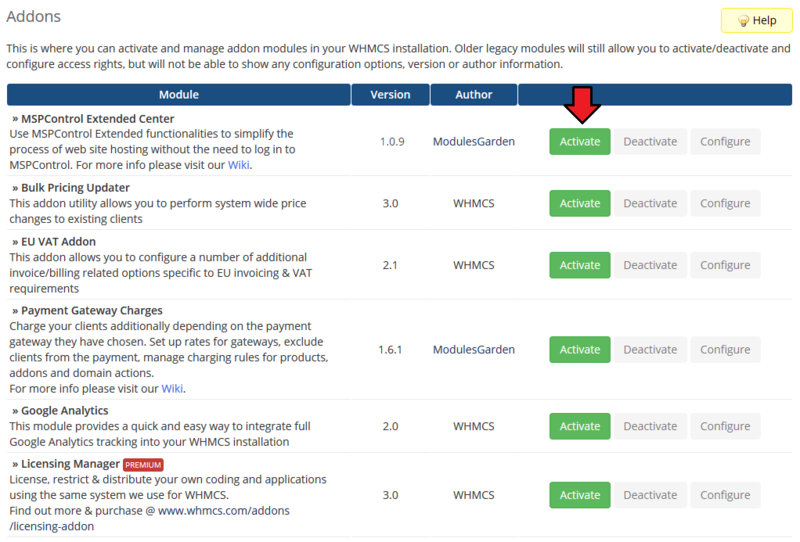 View the list of files with specific data on them: name, file size, last modification date and given permissions. 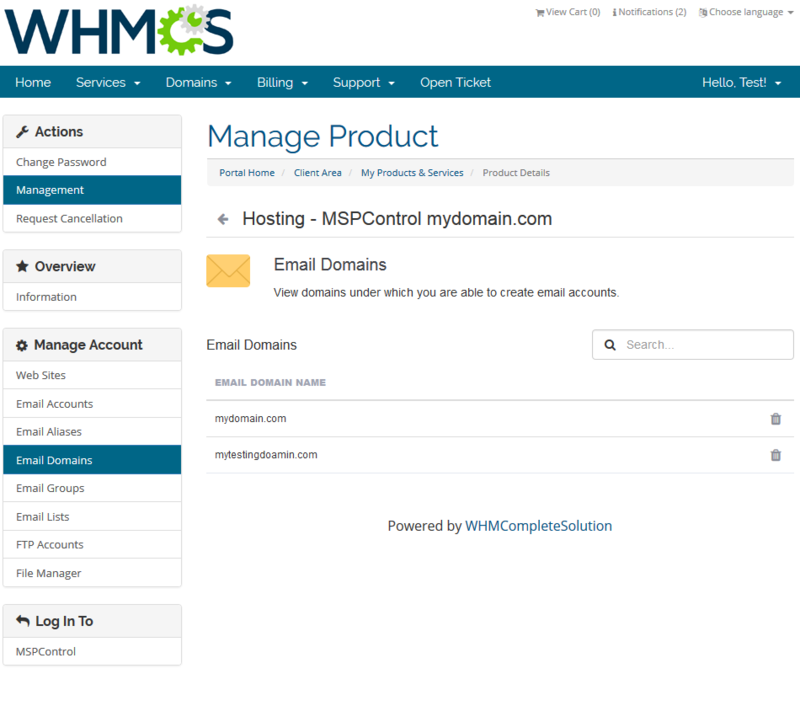 Get quick access to your MSPControl with just one click. You don't even need to fill in your username and password! 1. 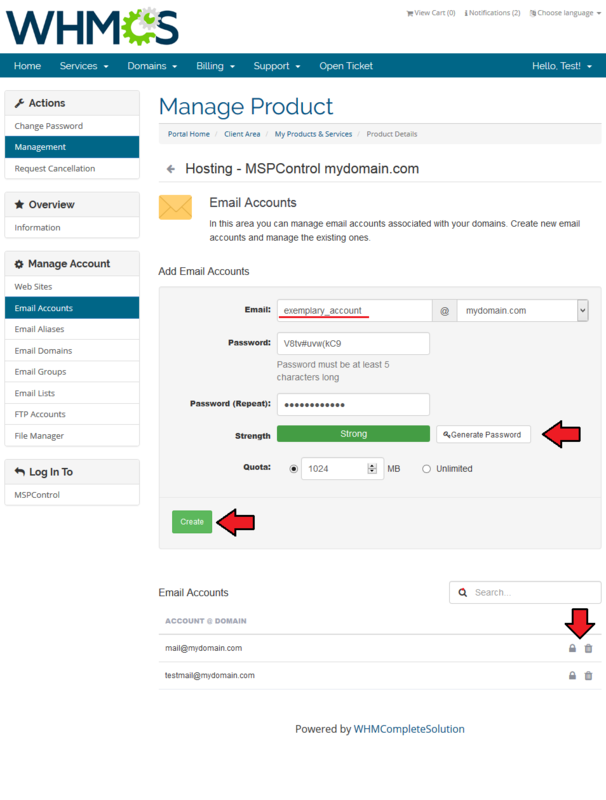 If you want to maintain a higher control over your clients management of the account, turn off the option to log into the external server in the addon. 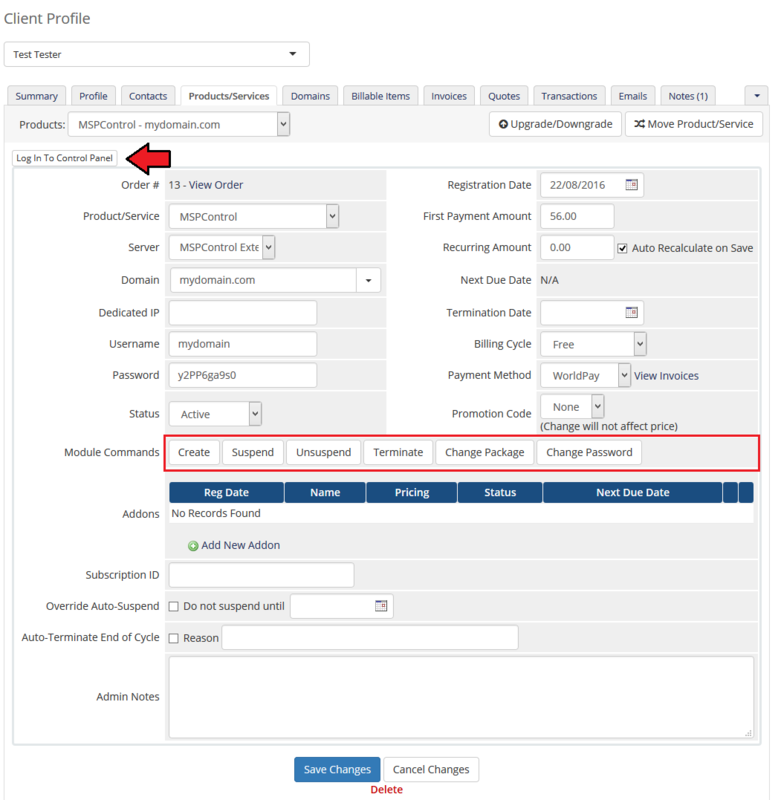 This page was last modified on 6 March 2019, at 12:54. This page has been accessed 13,620 times.